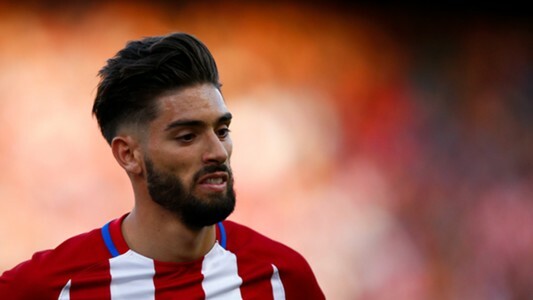 Belgian winger, Yannick Carrasco has been deemed surplus to requirement at the Wanda Metropolitano and he is free to leave the Spanish outfit in the January transfer window reports English publication the Sun. The Belgian relationship with manager Diego Simeone seems to have deteriorated after falling out with his teammates and key members of the coaching staff and he is now among the three players free to exit the Wanda Metropolitano next month according to reports from Spanish outlet AS. However, Atletico’s loss might be Chelsea’s gain with Blues boss, Antonio Conte keen to bolster his attacking options in the winter transfer window after falling 16 points behind Premier League leaders, Manchester City who have dropped just two points so far this term. Premier League champions, Chelsea could be set to revive their interest in the Belgian in the January transfer window after a move for him in the summer failed to materialize with the Los Rojiblancos not ready to sell. Carrasco is such an average player, you can’t be happy about getting rumoured to a player which has a purple patch for like a month or two, and then disappears for the rest. Mahrez is the way to go, comfortably the better player. Carrasco uno. And here I was getting my hopes up even a bit about this window. Would rather Carrasco than Zaha. Sandro & Mahrez/Carrasco would be perfect. The Belgian attacking midfielder was a regular starter under Diego Simeone after his €20 million move from French side, AS Monaco in the summer of 2015 but has fallen down the pecking order so far this term due to his attitude on and off the pitch. He has featured in 17 games across all competitions for the Rojiblancos scoring thrice and providing the same number of assists. The 24-year-old is often deployed on the left and right hand side of the attack and he is known for his pace, dribbling, long shots, short passes and likes to cut inside. Given his age and massive ability he would be a quality addition to the Blues, but Antonio Conte will have to work on his attitude if he wants to get the best out of him.